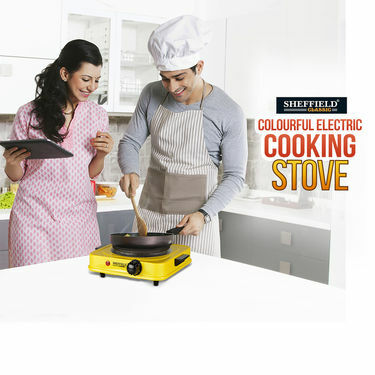 Expand your cooking space with Sheffield Electric Cooking Stove. It is compact, portable and lightweight. 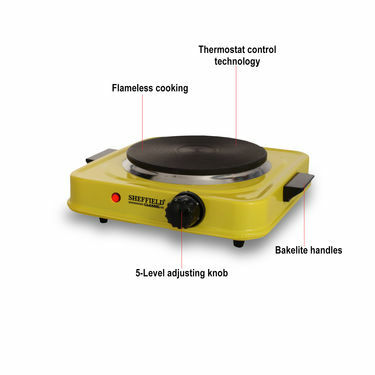 The powerful 1500W stove cooks food quickly and efficiently; the unit 5 level adjustable thermostat control, so you can cook and warm up food at the desired temperature. Non-skid rubber feet keeps the unit steady. Automatic safety shut off reduces chances of accidental fires/burns. 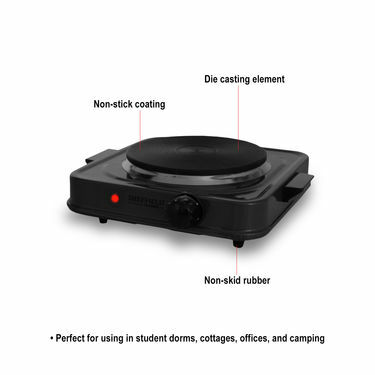 Sheffield Electric Cooking Stove is a safe and smart cooking alternative for using in student dorms, cottages, offices and camping. 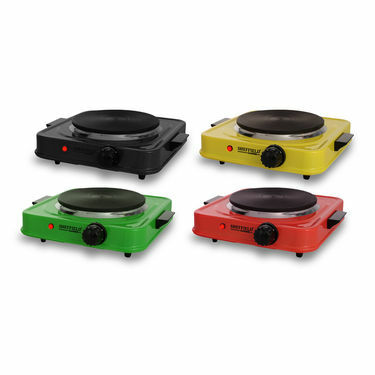 If you are looking any alternative for smart cooking stove, consider buying Sheffield Colourful Electric Cooking Stove. We reviewed this product so as to help our buyers to pick the right one for smart alternative in the kitchen. Design: The compact design can easily be stored or left on your kitchen countertop, occupying hardly any space. 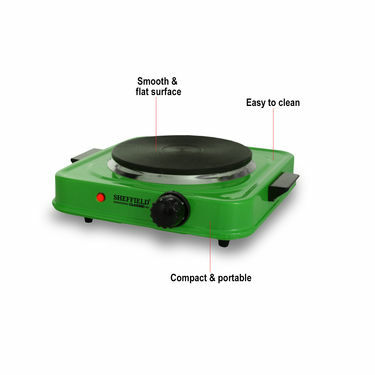 The electric cooking stove is wide enough to fit medium sized pots and pans comfortably. Available Colours: We are really impressed with the attractive colours available. Pick one that will suit your kitchen interiors. 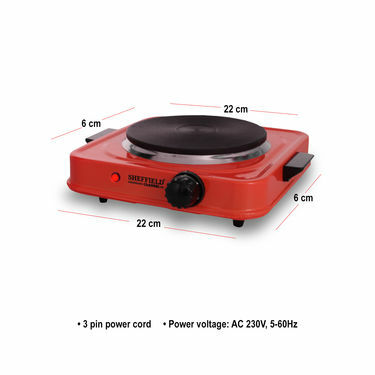 Sheffield Electric Cooking Stove is definitely a top pick for us as it comes with organized control panel, easy to maintain and compact size, making it a family-friendly electric cooktop available at affordable price.